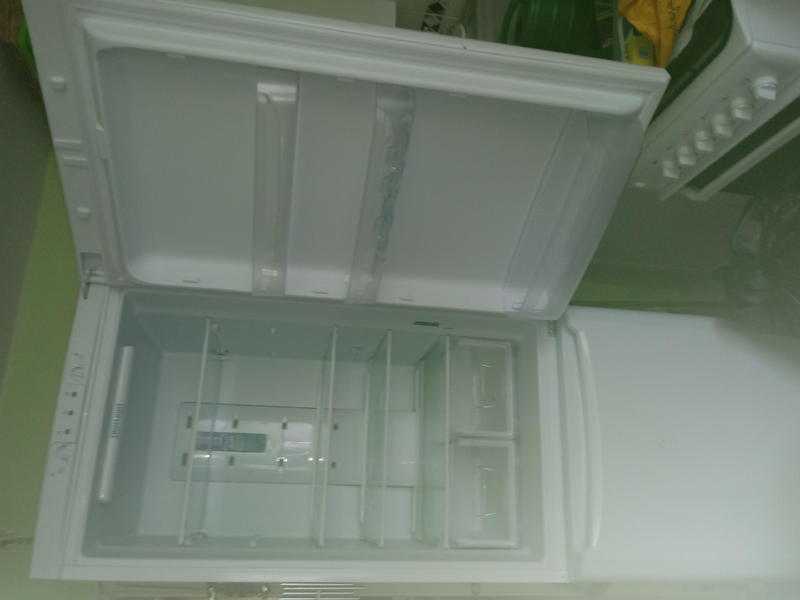 Indesit fridge freezer for sale.Really good condition clean n tidy. 2 salad boxes side by side 3 movable shelves. This is white in appearance. There are 4 areas for freezing. 2 full drawers,1 half drawer.1fixed area.We have updated, hence reason for.